The four artists of the Buchanan family, Constance, Lilian, David and Norman, living together in Eynsham, and working in the village for more than forty years, formed a uniquely inspiring and memorable group. Lilian had been an artist since her early childhood; at the age of fourteen she had gained a scholarship to the Hornsey College of Art but attended there in the evenings, with her brothers David and Norman. By 1939 and the advent of war she was already making her name known as a successful book illustrator. Service in the Women's Auxiliary Air Force found her working in the Operations Rooms of Fighter Groups in Kent. When Lilian's artistic talent became known at Kenley, she was asked to paint portraits of the local Canadian Squadron pilots, and these paintings were eventually sent to Canada, to the relations of many of the young men who did not survive. Lilian's atmospheric painting of the Operations Room at Kenley, in action, hangs now in the Dowding Room at RAF Stanmore. Also, while at Kenley, she was presented to Queen Elizabeth (the Queen Mother), who congratulated her on her work. The area around the Operations Room was a dangerous site and, while at Biggin Hill, Lilian and her WAAF comrades were plotting the unpredictable 'doodlebugs' in addition to the British and German planes. One Spitfire pilot was mistakenly directed to intercept a doodlebug over the Operation Room's garden, where it crashed to the great alarm of all concerned. During the war Lilian's portraits of her WAAF friends were shown in the Royal Academy, and in the following years many of her flower studies, portraits and landscapes were accepted and sold. Her portrait of the late Dame Helen Gardner was a notable exhibit at the Oxford Art Society. At Bristol, where Lilian was a member of the Royal West of England Academy, there is a special collection of her work. Lilian's paintings do not exaggerate, they are true and gentle, reminiscent of her serene personality. For a year after the end of the war, Lilian attended the Camberwell School of Art; her companions there included Victor Passmore, John Coldstream, John Minton and Claud Rogers. There followed many years of work, first in Lechlade and then in Eynsham, during which time she illustrated more than seventy-eight children's books and many other items. At various times she had worked for London University Press, Hutchinsons, Newnes, the Amalgamated Press, John Lane (Bodley Head) and Frederick Warne. Lilian, and her life of art, was the founding source of the Eynsham Arts Group in 1970. She had a wonderful talent, which she endeavoured to share with others in her art classes at the local school over several years. 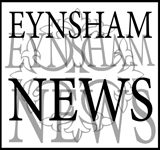 There is no doubt that Eynsham people have been the fortunate beneficiary of a very remarkable woman.